Apple on Monday filed a motion with the U.S. Court of Appeals for the Federal Circuit to drop its cross-appeal of California Judge Lucy Koh's final judgment in its patent trial against Samsung, meaning the company will no longer seek a product ban in that case. 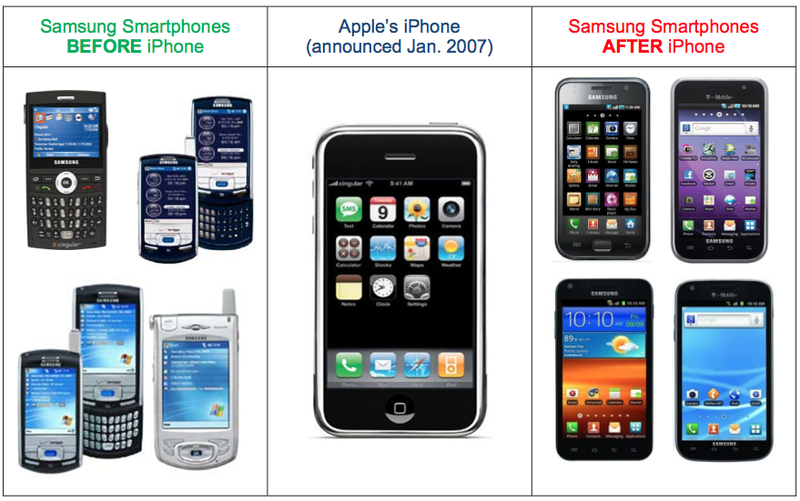 As noted in the filing and proposed order, first spotted by FOSS Patents, Apple moves to dismiss its cross-appeal of 2012's Apple v. Samsung California trial ruling. The company filed the cross-appeal in March. With the dismissal, Apple is effectively dropping its pursuit for a permanent injunction against 23 Samsung devices, which the company sought, but did not achieve, in its first California action against Samsung. The cross-appeal was filed after Judge Koh handed down a ruling denying Apple's renewed motion to ban the Korean company's products. Apple's bid for a sales ban has already been denied twice. Apple was previously successful in arguing a partial appeal of Judge Koh's ruling on the matter, though the motion was ultimately quashed on remand. Samsung counsel has agreed with Apple's motion to dismiss and will continue with its own appeal of Judge Koh's final judgment, which looks for a wholesale reversal of the jury's findings. Apple further moves to reform the official caption of the remaining appeal (No. 2014-1335) to reflect the dismissal of Apple's cross-appeal. Counsel for Apple has conferred with counsel for Samsung Electronics Corporation, Ltd., Samsung Electronics America, Inc., and Samsung Telecommunications America, LLC (collectively, "Samsung") regarding the substance of this motion. Samsung does not oppose the relief requested in this motion and will not file a response. Apple was awarded $1.05 billion from a jury decision finding Samsung guilty of infringing multiple patents, though the sum was whittled down after certain granted damages were vacated due to juror error. A retrial in November recouped $290 million, bringing the total up to $929 million.